It all started in 1982, before the internet was born and before reality TV existed. Wayne Schafer and his brother Brian were dry rubbing beef cuts and letting them marinate, in a tiny “roadside pit beef restaurant ” on Pit Beef Row in Baltimore by the name of Big Fat Daddy’s. They would use a custom blend of spices before grilling them over high heat and slicing the beef cuts paper thin. Finishing with a kaiser roll, a dab of bbq sauce, and a mayo – horsey blend called “tiger sauce” (don’t forget thinly sliced raw white onions.) 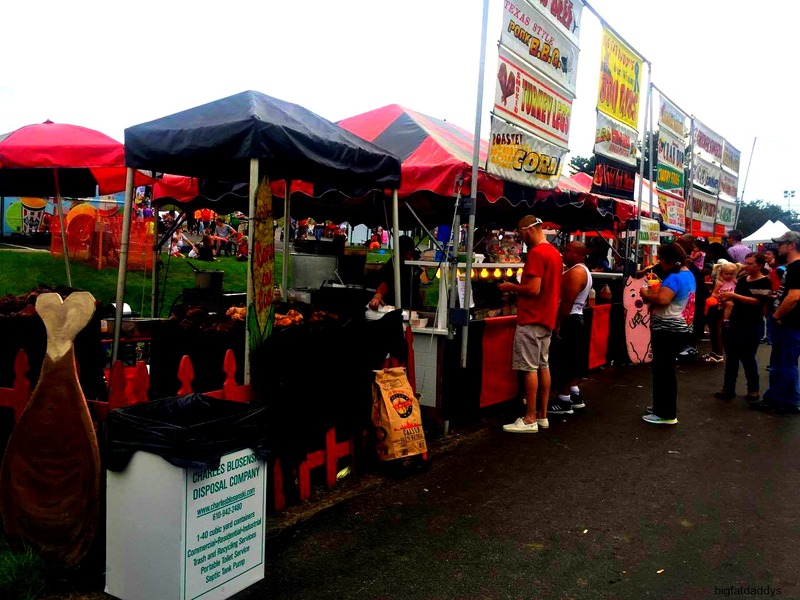 Back then, there were three pit beef stands on the same stretch of Route 40–but all three prepared their items differently and used different heating sources. The Schafer brothers stuck to wood, lava rocks, and dry rub. Soon there was Got Beef? ® logo shirts, hats, sweatshirts, hoodies, button up shirts, socks, underwear, baby gear, baseball caps, skull caps, mugs, cups, plates, and soon dry rubs were synonymous with the small restaurant. . Soon Steven Raichlen would visit Big Fat Daddy’s stand, and the rest is history. The boys were featured in print magazines, books, on 98 Rock’s morning show and the news. Now, decades later, taking the show on the road, Big Fat Daddy’s Pitmaster Wayne M. Schafer specializes in Fairs, Festivals and Catering. 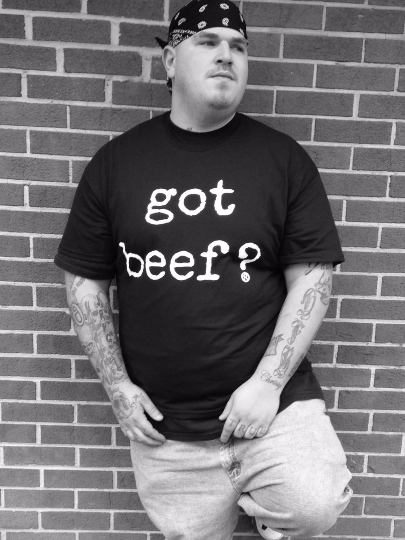 He trademarked the Got Beef?® merchandise in several categories including housewares, apparel and spices. Big Fat Daddy’s has appeared on television shows like Food Network and catered for high end clients like former NFL Linebacker Ray Lewis of the Baltimore Ravens. Wayne can be found often blabbing about beef………..
Big Fat Daddy’s Pitmaster and founder of Got Beef? ® products. Big Fat Daddy’s was featured as a York Pennsylvania Tour Stop in 2016 and hosted several “Hogging Up” KCBS BBQ Festivals. Big Fat Daddy’s was also inducted into a museum for their contribution to “Baltimore’s BBQ” (beef). Items are made in small batch quantities and proudly made in the USA. Designed by Cindy Fahnestock Schafer and Wayne Schafer, each item is carefully worked on from the start to the end. What may start as a scribble turns into a wonderful product! From a simple sketch to color selection, all products are made in limited quantities and made in the USA! Beware of imitations and counterfeit items that are not first quality. Please report trademark violators or infringing items here.